Over the last decades, disasters triggered by natural hazards have become more frequent and more severe. An increasing number of climatological, hydrological and meteorological events have posed major threats to world’s population. The cost associated with natural disasters is also growing significantly. According to the 2015 Report of the UN Secretary-General on the Implementation of the International Strategy for Disaster Reduction, “economic losses have reached an average of USD 250 billion to USD 300 billion a year”. 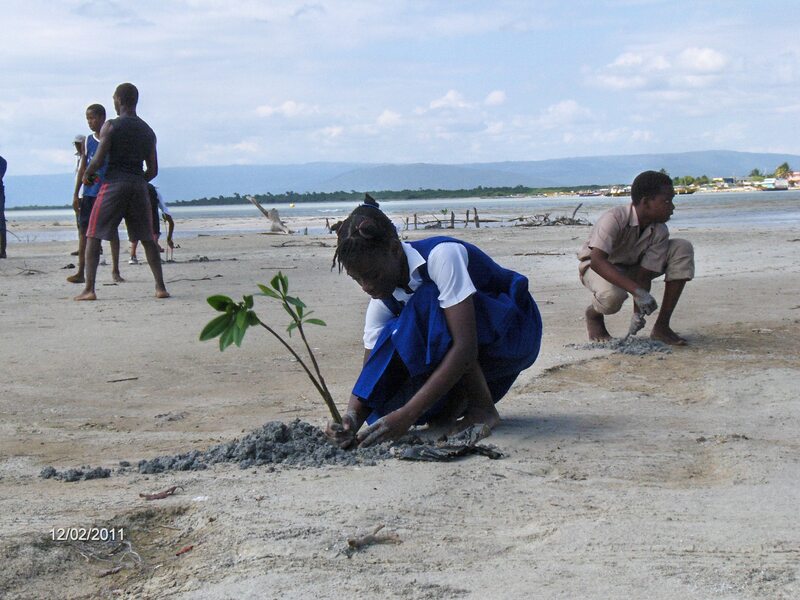 Agriculture forestry and fisheries are severely affected by these natural disasters, as they involve a close interplay of human activities with the natural environment. This is especially the case of weather and climate related disasters, such as drought, floods and storms, among others. FAO has calculated that about 22 percent of the impact of disasters in developing countries directly affects farmers, fishers, pastoralists and forest- and treecrops-dependent people. This share raises to more than 80 percent when only drought is considered. The Sendai Framework for Disaster Risk Reduction (SFDRR) 2015-2030 recognizes disaster risk reduction as an important component of sustainable development. Evidence shows that investing in disaster prevention and preparedness is four to seven times more cost-effective than to rely on emergency response. In spite of such significant impact of disasters on crops, livestock forestry and fisheries, the monitoring of the associated damage and losses at national, regional and global levels is quite insufficient. Data is seldom systematically recorded or reported by governments or non-government agencies, nor collected in enough detail within existing global databases on disaster losses. Good data is key to drive investment that can turn countries, and their economic activities, more resilient to disasters. It is known that the scale and magnitude of the impact is widely diverse depending upon the context in which the disaster hits. The same magnitude of a typhoon or a drought can create havoc in some countries, and virtually no impact in others that enjoy a high degree of resilience. Technical and institutional infrastructure can make a huge difference in minimizing the impact of infrequent and unexpected events. Building more resilience requires more and higher-quality data. Gaining a full and coherent understanding of the magnitude and diversity of disaster impact on agriculture and its sub-sectors is key to drive investment towards improving resilience, and towards enhancing the ability to cope with an increasing number of unexpectedly hazardous events. One of the strategic focuses of FAO is enhancing resilience, by providing decision-makers with sound data and information to target investments and actions in disaster risk reduction in agriculture. How to get better data? In this framework, the FAO has taken action to obtain specific, standardized and comparable data for monitoring damage and losses suffered by agriculture, and their consequences in terms of food security conditions. Focus is on the multiple threats that can impact the sector, recording immediate physical damage caused by disasters on agricultural assets, as well as on the cascading negative effects of disasters on agricultural production, and value chains. Different types of hazardous events will be considered in the FAO initiative, including: natural hazard-induced disasters, such as geophysical and climate-related disasters – droughts, floods, fires, landslides, volcanic eruptions, tsunamis, earthquakes, storms, extreme temperatures, hailstorms, and others. Among these, particular attention should be devoted to silent, neglected disasters, which intensely affect a limited number of people. Food chain emergencies of transboundary or technological threats, such as transboundary plant, forest, animal, aquatic and zoonotic pests and diseases, food safety events, radiological and nuclear emergencies, dam failures, industrial pollution, oil spills. Man-made disasters, such as conflicts and civil unrests. The new dataset that FAO is building, by collecting data from member countries, will provide policy-makers, and stakeholders at large, with a sound information base for decisions making. It will allow implementing ex-ante cost-benefit analysis of prevention and post-disaster resource allocation. An expert consultation was held at FAO in June 2016 with key national and international stakeholders, to discuss how to develop a sound dataset. The methodology starts from an international definition of damage and losses in the crops, livestock, fisheries, aquaculture, and forestry sub-sectors. For each of these sectors, two main components are considered: production, assets and community. The production sub-component measures disaster impact on production inputs and outputs. Damages include, for instance, the value of stored inputs (e.g. seeds) and outputs (e.g. crops) that were fully or partially destroyed by the disaster. Production losses refer to declines in the value of agricultural production resulting from the disaster. The assets sub-component measures disaster impact on facilities, machinery, tools, and key infrastructure related to agricultural production. Crop-related assets include, among others, irrigation systems, machinery, equipment; livestock-related assets include sheds, storage buildings; fisheries assets include ponds, hatcheries, freezers and storage buildings, engines and boats, fisheries equipment; forestry assets include, among others, standing timber, firebreaks and watch towers, forestry equipment and machinery, fire management equipment. The monetary value of (fully or partially) damaged assets is calculated using the replacement or repair/rehabilitation cost, and accounted under damage. The assessment of each components takes into account the degree of resilience, as quantified by the parameters linked to Vulnerability and Lack of coping capacity the INFORM Index for Risk Management. Typhoon Haiyan, locally known as Yolanda, hit the central Philippines on 8 November 2013. Winds registered at over 300 km per hour. The storm surges of Haiyan reached up to over 5 meters of height, causing widespread devastation and loss of lives in the affected coastal provinces. 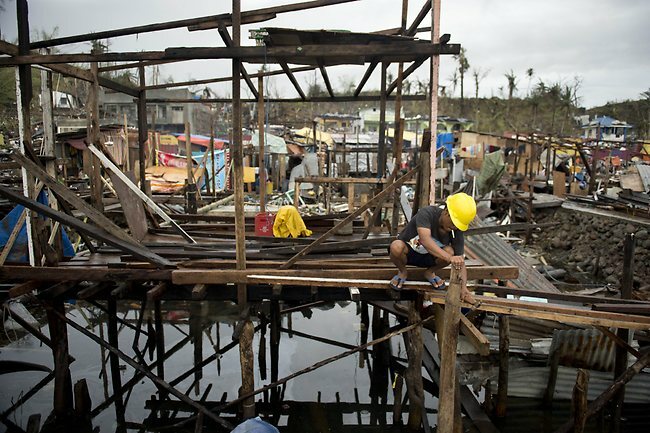 As of November 11, the typhoon had caused at least 6,300 deaths, affected an estimated 16 million people, and damaged or destroyed more than 1.1 million houses, as reported by the National Disaster Risk Reduction and Management Council. The calculation of monetary impact of Typhoon Haiyan on the agriculture sector of the Philippines offers an opportunity to test the methodology described above. The assessment is conducted at provincial level, making use of primary data on disaster’s physical damage from previous impact assessments conducted by the Government of the Philippines. When primary data were missing, estimation procedures are implemented based on secondary information to fill data gaps. Error analysis is associated through the implementation of a ‘Max-Min’ interval procedure applied to the exogenous parameters included in the methodology, e.g. resilience parameters. The main steps followed in the analysis are summarized below. Preliminary results show that the most affected agricultural sub-sectors are crops, followed by fisheries and livestock, and that losses may be relatively higher than damage. 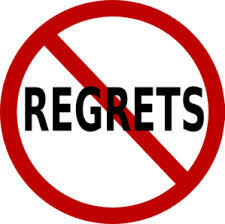 This phrase is gaining in popularity among the DRR community and I love it! It was widely referenced this year at the two conferences I attended: the UNISDR Science and Technology conference in January, and the UR2016 conference in May. Throughout this blog post I will be referring mostly to disaster risk assessments, as this is where a lot of my experience comes from. However, many of the lessons can be applied to other forms of disaster, or general knowledge/information communication. It is widely acknowledged that a gap exists between the research produced and that which is used. Many risk assessments are produced – these are costly in time, money, and effort. And yet often these risk assessments are not used. They are incredibly valuable, so why aren’t they used? The language is not appropriate for the end-user – it is not produced in the language of those that need it – particularly when disseminating to the public. This is becoming a greater issue as greater movement and displacement between countries. So how can scientists, researchers, and academics get around these issues to deliver this vital information to those that need it? Well, we can make the phrase “useful, usable, and used” our mantra. Risk assessments need to be fit for purpose. In order for knowledge to be useful, the end-users need to be involved from the start. It should not be assumed the external ‘experts’ know what the community wants or needs. There needs to be a two-way dialogue between the users of knowledge and the producers of knowledge. Without this, science and technology may miss the opportunity to create knowledge that is needed, and may not be aware of knowledge gaps that require filling. By thinking about what is useful, research can build upon existing knowledge, rather than reproducing something that may already have been done, or producing something that is not needed. The knowledge that is produced needs to be presented and in a format that is appropriate for the end-user. This will vary significantly based on who the knowledge is for. For example, risk assessments for finance ministers should be very different from that produced for a small village in a developing country. The language needs to be appropriate for the end-users. If this is for the public, think about the potential diversity of language within each context. Talk their talk. For example, scientists and academics speak a different language to policy makers or finance ministers. 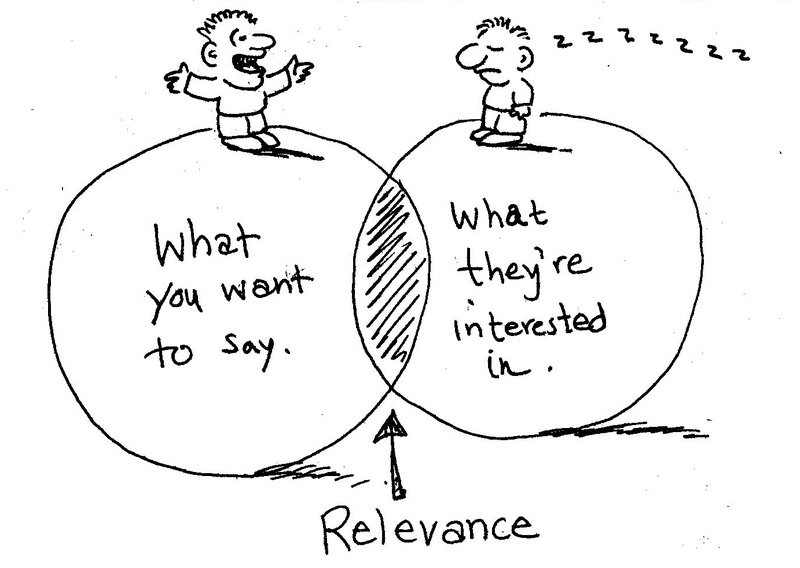 This has two implications – use the appropriate terminology for your audience, and think about what matters to them. For example, convincing a finance minister to invest in DRR will be more effective if you present the information as a cost-benefit analysis of ‘investing’ in DRR to save expenditure in the future recovering from disasters. Go for clarity rather than simplicity. For example, error and uncertainty are concepts the public and non-specialists often have difficulty with. But that doesn’t mean that you should eliminate communicating uncertainty altogether. Presenting the information as a certainty is potentially dangerous and can lead to ‘crying-wolf’ instances. Instead, there are ways that non-specialists can understand uncertainty. For example, percentage chance of events is easier to understand than a 1 in 100-year flood. Think about the delivery mechanism for the audience. For example, how and what you might present to children will be different to adults. Think about innovative ways of presenting information, such as games, infographics, images, and use of colours. How the results will be used should determine the format of the information. For example, should the information be presented visually or verbally? As a report or as a workshop? Or as a one page print out which can be laminated and seen from across the room? Rarely is the answer to this solely to publish academic journal papers. Bear in mind that sometimes the people who produce the risk assessments are not the best people to disseminate the results. Knowledge brokers can bring vital skills to bridge the gap between science and practice. Information must be passed on for it to be used. Academia is a prime example of hoarding information, as the traditional focus of disseminating research is through a medium that is largely inaccessible due to costs. Whether the end-users care about the information you have produced will be determined by how well you communicate your findings. Disaster risk assessments are valuable information, but if they are not presented well, or disseminated in a way that engages with the end-user, they won’t be used. The ‘so what?’ factor can be useful in these contexts. This coaching technique can be used to dig down to find the root message you need to convey. You will likely know why they should care, you may just be used to dealing with other people who already consciously know why they should care. You need to find a way of getting the message through to them that speaks to their concerns. Look at the issue from their perspective – what you care about may not be a priority for them. People also find it difficult to think about and prioritise long-term risks, especially when they are dealing with immediate livelihood survival threats. Make it matter to them. The process should not end with the production of the risk assessment. The end-user should be involved in the end process. The findings may need to be talked though, questions answered, a follow-up with advice on how to reduce the risks may be needed – essentially the end process should ensure the information is actually understood and will be used. And not sit on a shelf somewhere. If the end-users are not involved, the risk assessments will not be used. You need to ensure buy-in and empowerment throughout the process. You are not ‘swooping in and saving’. You are facilitating their needs and filling in a gap. Even better than providing them with a risk map is to teach them and provide them with the tools to create it themselves (e.g. Geoscience Australia’s work in the Philippines). To develop, periodically update and disseminate, as appropriate, location-based disaster risk information, including risk maps, to decision makers, the general public and communities at risk of exposure to disaster in an appropriate format by using, as applicable, geospatial information technology. To promote and improve dialogue and cooperation among scientific and technical communities, other relevant stakeholders and policymakers in order to facilitate a science-policy interface for effective decision-making in disaster risk management. To strengthen technical and scientific capacity to capitalize on and consolidate existing knowledge and to develop and apply methodologies and models to assess disaster risks, vulnerabilities and exposure to all hazards. To enhance collaboration among people at the local level to disseminate disaster risk information through the involvement of community-based organisation and non-governmental organisation. To enhance the development and dissemination of science-based methodologies and tools to record and share disaster losses and relevant disaggregated data and statistics, as well as to strengthen disaster risk modelling, assessment, mapping, monitoring and multi-hazard early warning systems. At the Understanding Risk 2016 conference in Venice, BBC Media Action, King’s College London, and Resurgence organised a session on Communication for Action: What’s Needed? The session drew on the experiences of researchers and practitioners who are actively involved in risk communication. Emma Visman, Visiting Senior Research Fellow at King’s College London, began the session highlighting that the gap in communicating knowledge is not new – this has been something that we have had difficulty in implementing for a long time. But we seem not to be learning our lessons. She gave several reasons for this behaviour – there are a lack of opportunities for sharing learning, there is no reward for sharing failure, and there is a lack of risk communication as part of science training. She went on to outline some advice to help with this communication gap: regular sharing of lessons – including what did and did not work, the need for a two-way communication process, at all levels, scientists need to understand the needs of the users of the outcomes, and people at risk require a seat at the table to have a voice in decisions. Mark Harvey, CEO of Resurgence, then walked us through two examples of communication in disaster situations. The first was in Srinagar, Kashmir, where an assessment was carried out in 2010 warning of likely inundation in five years related to unplanned development in risk areas. However, this warning did not reach the public health department or the public, and in 2014 300 people died from flooding. The second example was from Myanmar – in 2008 there was vital information on the likelihood of landfall of Typhoon Nargis, but there was poor communication of the risk, referring to it as a “rainstorm”, and a lack of communication via radio (the main source of information for many poorer or rural communities). As a result of the Typhoon, 84,500 people were killed and 53,800 went missing. However, in 2015, Myanmar’s radio station regularly communicated the progress of Typhoon Komen and flooding risks with BBC Media Action, including guidance on how to prepare and respond. As a result, the impacts were less devastating than in 2008, with approximately 100 people killed. Photos attributed to Mark Harvey’s presentation in UR2016 session. Allan Vera from Christian Aid focused on a case study of urban resilience in the Philippines. Communities in urban areas at risk from natural hazards felt blamed for their risks, were prohibited return to their homes post-disasters, felt like powerless victims, and did not want to move away from their source of livelihoods despite the risks they faced (and if they were forced to move, they were then exposed to natural hazards they had no previous experience with). Due to a loophole in the law, urban dwellers risk eviction without the recourse of challenge in the face of disaster risks, and as such there is a prolific lack of investment in housing and risk reduction measures. To tackle this, Christian Aid focused on building trust by settling organisers to live within the community, initiating informal conversations about risks, mentoring leaders, encouraging grass-root groups and building leadership skills such as debate and disaster risk management knowledge. The project built confidence and trust within the community, and later, scientists were welcomed into the community to discuss the risks the community faced through workshops. Overall, the approach lead to disaster risk reduction strategies aligned with the community needs and wishes. Photo attributed to Allan Vera’s presentation on community organisation in the Philippines in UR2016 session. If you address everyone, you address no one. Therefore, figure out who you are targeting and focus your energies on communicating what they need in a way they will understand. Also, understand their motivations to communicate effectively. For example, a study found people were ignoring evacuation advice because they were returning home to save their pets. By communicating an evacuation plan that included their pets, people were more likely to evacuate. Know what you want to change. Identify the problem that you want to change. Identify what help you need to achieve those changes. Realise there is a process between knowing information and behaviour change. For example, most people who smoke know that it is bad for their health. But this does not change their behaviour. We need to understand the process between information and change to reach the end goal of change. Good intentions are not enough to bring about action. As a communicator, your job is to make it interesting so the end-user will pay attention. Change cannot be made without starting a conversation. So start the conversation. Image attributed to Lisa Robinson’s presentation in UR2016 session. The START Network’s Annual Conference on 11th May 2016 brought together 250 senior representatives from some of the world’s largest civil society organisations, multilaterals, and governments, as well as innovators, opinion-formers and other stakeholders concerned with connecting people in crisis to the best possible solutions. This blog post will deal with the first point: why the humanitarian funding system is not fit for purpose. One of the main, repeated messages from the START Network Annual Conference is that the current humanitarian funding system is not fit for purpose. This is due to multiple reasons, and has become an increasingly urgent challenge as the scale and impact of crises grow. The way the system is currently set up cannot continue and unless it is fundamentally changed, will become increasingly problematic in the face of climate change, and demographic challenges expected in the future. The amount of financial aid available is not enough to tackle the problems faced by humanitarian system. There is a gap in the humanitarian system – 38% of the needs identified in humanitarian situations go unmet. The world spent $24 billion on international humanitarian response in 2014. This seems like a lot, until you compare to the $26 billion chewing gum industry (2012). The world spends more on chewing gum than on humanitarian aid. The funding available is too restrictive – the majority of funding is sourced from a limited number of big controllers, leading to asymmetrical power dynamics. These large donors are increasingly placing restrictions and stipulations on what the funding should be spent on. This leads to two main problems. The first is that this dynamic does not reflect the needs on the ground. Often, the needs of those affected will not be known until the responders are on the ground and can assess where the gaps are. Increasingly, the funding stipulations restrict what the money can be spent on, often resulting in providing unnecessary assistance, and leaving a gap where needs are unmet. The second is that the humanitarian system is becoming crippled by “log-frame-itis”; the focus has shifted to chasing donor funding and measuring “success” – creating destructive competition between non-governmental organisations (NGOs) rather than collaboration, and focusing on outputs rather than outcomes. In addition, these funding opportunities are disproportionately skewed towards larger, international NGOs (INGOs) and rarely make it to the local level, or only a small proportion of the funding trickles down the local level. The top down focus of humanitarian finance often means INGOs get the bulk of funding, whilst local NGOs receive very little. The figures speak for themselves: in 2014, only 0.2% of Overseas Development Aid (ODA) went to local governments and NGOs. This disproportionate division of funds often means less engagement with local communities and it is these local NGOs that have valuable resources and insight into the crisis situation. These local NGOs have often been working within communities over a long time frame compared to INGOs. They know the local context and have developed and already established good relationships with communities. The distribution of funding is therefore missing a huge opportunity to engage with these well-placed and experienced local actors to bring about effective delivery of aid. It is well-known that investment in disaster risk reduction (DRR), development, and prevention schemes pre-crisis saves not only lives, but also the amount of funding required post-crisis in response. And yet, the humanitarian funding system is almost entirely response focused. Convincing donors to provide funding before an emergency, despite the evident need, still remains a challenge in the humanitarian sector. We are not learning our lessons; very little has changed in the last decade. The Tsunami Evaluation Coalition report requested a fundamental reorientation in humanitarian funding, and yet the same problems experienced in the 2004 tsunami were repeated in the 2014 Ebola crisis. The issues raised by the 2016 START Network Annual Conference also went on to explore the changes that are already taking place in the humanitarian funding system, and what else is required to shape the humanitarian funding system so that it is fit for purpose. The UNISDR Science and Technology conference on the implementation of the Sendai Framework for Disaster Risk Reduction (2015-2030) was held at the Centre for International Conferences in Geneva (27-29 January 2016). The conference gathered together more than 1,000 researchers, policy makers, and practitioners to agree the science and technology roadmap for implementing the Sendai Framework for DRR. The plenary session was opened by Dr Robert Glasser (head of the UN Office for Disaster Risk Reduction) during the plenary session, highlighting the importance of science and technology in not just the implementation of the Sendai Framework, but across many of the 2015-2016 international agreements. In 2015, such events as the Sustainable Development Goals, COP21, and The Third International Conference on Financing for Development in Addis Ababa all highlighted the central importance of DRR for decreasing poverty and implementing sustainable development. All of these agreements rely upon the support of science and technology for decision-making. Glasser emphasised the need and ability we have to do more to decrease economic and human losses from disasters. He was echoed by Dr Pichet Durongkaveroj (Minister of Science and Technology for Thailand) who emphasised the need for science and technology to take a leading role in the world in helping to improve our lives. It was interesting and encouraging to acknowledge how much science and technology has and is developing. However, the root causes of disaster risk (poverty and inequality) were rarely mentioned in the conference. The main discussions focused on the physical sciences, risk assessments, and technology. There were multiple calls for the consolidation of our knowledge, and better communication of what we already know, before we move forward to re-producing what already exists. However, it must be acknowledged that gaps do exist in our knowledge base, and new data is needed due to inequalities in data coverage. A common theme throughout the conference was the difficulty of delivering and communicating scientific findings to the government and the public. Glasser held up the IPCC’s approach to delivering complex climate change information as an excellent example of communicating science; it lays out compelling and advisory information, including a section within the report which bridges the science/policy gap, and is written in layman’s terms. Links between science, technology and policy need to be improved. We need to connect with users of technology to ensure understanding and communication of knowledge. The need for hybrid expertise/translators/communicators became a recurring theme, crossing multiple divides: science/research, policy/decision makers, practitioners/NGOs, and the community/locals/those at risk. This communication of knowledge cannot be one-directional. Glasser highlighted the need to understand the pressures as well as the problems faced by end-users. For example, we need to be able to quantify the current costs, and then the future costs (particularly due to changes in climate) to be able to engage with finance ministers on the importance of DRR. More detailed data is needed to focus the attention of decision-makers, particularly related to what they value. Whilst it can often feel contrary to the values of humanitarians, making the argument with support of economic cost-benefit analyses, and using appropriate language and terminology, can get budgets for DRR integrated into policy, therefore saving lives. The majority of the sessions I attended focused on presented research, and specific case studies, which were rarely related back to the Sendai Framework. I felt that opportunities to discuss and contribute to the roadmap were few, and perhaps a better approach would have been to gather 100-200 expert scientists, practitioners, and policymakers together to discuss the roadmap by sections, and contributing feedback and comments to the main panel. Whilst the conference did not close with an agreed roadmap, the three days were a valuable networking opportunity for future collaborative work, and the sessions highlighted the main challenges and opportunities for DRR in the immediate future. At the UCL IRDR 5th Annual Conference this year, Sir Mark Walport, Chief Scientific Adviser to HM Government, gave a presentation on communicating risk and hazard to policy makers. He summarized the challenges and common pitfalls that scientists often come across, and gave advice on how to look at the issue in a more mutually-beneficial way. He began by pointing out that from the policy makers point of view, they do not have the expertise or time to research particular topics, which is where expert scientists and advisers come in. Scientists are employed to do the research and then communicate it in such a way to help the policy makers make decisions. The first thing to remember is that policy makers have time commitments, which means that scientists need to communicate risk quickly and clearly, particularly in an emergency situation. They are intelligent people, but they won’t necessarily have your expertise, so conveying the information in a simple (but not overly simple way) is necessary. They understand the concept of uncertainty, error, and risk, so these issues do not need to be swept under the carpet, but don’t need to be explained in such a detailed way as you would in an academic paper. Policy makers are also different. So they may prefer different means of communication – therefore be prepared to explain things in a variety of medium. Another key point to keep in mind is to think about what your audience cares about, and then translate your information into a way which is relevant for them. For example, the government is primarily concerned with the health, wellbeing, security, and resilience of the population, followed by economic advantages to the country. Think about how the information you have will impact on those things they care about, and convey that information. There is always a risk with trying to convey all the information you have ever gathered on the topic all at once – this is trying to boil the ocean. You will lose their interest. Instead, tell them only what is relevant for them to make a decision. The other information is not wasted – it has increased your understanding of the topic, and will provide a good back-up store of information should it be needed in the future. There is often a confusion in the terms used by scientists, compared to policy makers (and even compared to “normal” human language). Scientists are renowned for having a specific definition of every term they use. Indeed, that is how science works, it requires careful and systematic labeling and defining of things, to avoid confusion and ideally to allow for better understanding of precisely what you mean. Ironically, in the non-science world, this can lead to misunderstanding if the exact terms are not fully understood, or are completely different to those used by the other party. Use of a common language, or at least awareness of the differences is needed, to be able to communicate effectively. Scientific precision needs to be balanced with the need to be understood by non-specialists. The policy maker is not a scientist. Their concern is not making decisions solely on the scientific evidence. If it was, they would be scientists. Instead, policy makers need to balance a range of demands, including (but not limited to) public attitudes, economic implications, international relations, and scientific evidence. So scientists need to realise that they’re not have the same conversation. For example, the majority of the scientific evidence suggests nuclear power is low risk, it also suggests hydraulic fracturing or “fracking” is low risk. However, the majority of public attitudes are against having a nuclear power plant or a fracking station in their back yard. Policy makers have to balance the scientific evidence with the public attitudes (etc) before they make a decision. There is confusion often when science turns into advocacy. This is often experienced in the Environmental Sciences, probably because we are passionate about our topics. But we need to recognise that our values may not be the same as other people’s values. Things in this world are rarely black-and-white. Whilst science strives to define and logically evaluate evidence in an objective manor, we must remember that the non-science world is hugely subjective and opinionated. Scientists can help to provide evidence and guidance on topics, but must remember that ultimately, decisions are rarely made in policy based solely on the science. Our job is to try to communicate that evidence in such a way that the message gets through as clearly and with as much impact as possible. By developing our communication skills, hopefully we can better influence and advise those whose job it is to make the decisions. This year’s World Disasters Report focuses on culture. Culture is an important aspect of disaster management as it affects people’s world view and their decisions. This has implications for disaster risk reduction, not only for less developed countries, but also for more developed countries, particularly as climate change impacts are felt. Culture is something we cannot ignore and need to understand and work with if we are to be effective. The IFRC who published the report have put together a fantastic video explaining the report, shown below, which I highly recommend you watch. What follows are my main impressions and information taken from the report. There are many examples of where culture can help in disaster situations. Strong cultural bonds can provide a support network, comfort, sources of communication, and shared information and resources before and after a disaster. Cultural beliefs can help people explain why disasters occur: whether this is because of a higher power punishing the unfaithful, or an unfeeling higher power unknowingly causing damage. 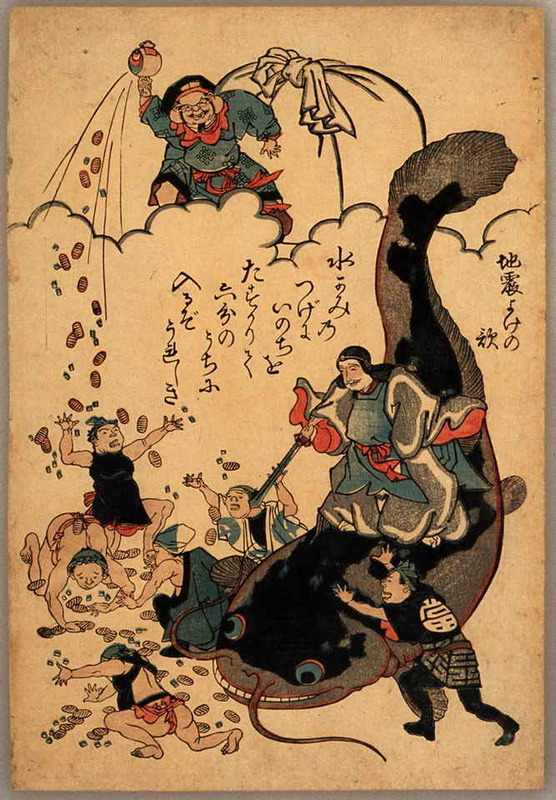 Examples of this are the 1692 earthquake that flattened Port Royal, Jamaica, which was seen as punishment for the bad behaviour there; and Namazu, the Japanese myth that a giant catfish lives beneath the islands of Japan, and thrashes about when restless, causing earthquakes. Providing a reasoning behind such devastating events can help people to mentally cope with the “why?” behind disasters. Often, cultural tales provide lessons which are passed on through the generations to keep people safe. An example of this is the Moken, “sea people”, community in Myanmar and Thailand. The number of casualties in this culture demographic caused by the 2004 Indian Ocean tsunami was very low when compared to other coastal communities. Their survival is attributed to their “legend of the seven waves”, which teaches them to run to the hills if water recedes on the shoreline. Places of worship can become sanctuaries during a disaster (they are typically better built and safer) and a centre for gathering and providing support after the disaster. They can provide a platform for risk education and a route for delivering information and resources into communities. Working alongside these cultural hubs rather than in opposition will have much more successful outcomes in disaster risk reduction. However, there are times with culture comes into conflict with disasters, with unfortunate results. Culture affects how people make decisions. Home location choices are typically made based on daily needs, such as distance to life sources (fishing, farming, urban workers), which could place people in areas unsafe and at risk from natural hazards. 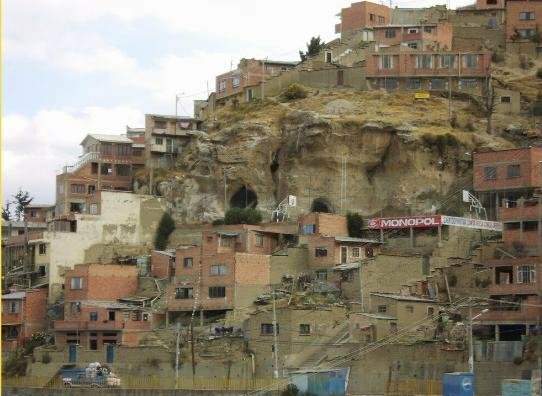 Examples of this are global: fishermen living on the coast in tsunami risk zones in the Pacific, building on unstable steep slopes susceptible to landsliding in La Paz because of access to work. The choice of location increases their vulnerability, and when a hazard hits, disaster typically ensues. This can often be a problem in resistance to evacuation. Many people decide not to evacuate in the face of an oncoming disaster because the risk of leaving has more immediate impacts which they have more familiarity with, such as being unable to provide for their family, or a higher risk from looters taking limited possessions. Compared to the potential (seemingly unlikely) risk of death or injury if they stay, which they may have little experience with (particularly if hazards are rare on a human timeline in the region), people often choose not to evacuate. Building back after a disaster has affected a community is also a source of conflict. Despite now having first-hand experience of the danger of, say, living on the coast to tsunamis, people will often wish to build back where they were living originally. Again, this is because they need and want to be near the sources, such as the ocean, for their livelihoods. Culture can also clash with efforts to reduce disaster risk by attitudes of fatalism – “what will be will be”. This attitude is prominent in many cultures worldwide. The perception that nothing can be done makes people resistant to making changes to try to reduce the effect of something they see as natural and inevitable. An simple example of this is provided in the World Disasters Report of wearing a seat-belt. In the UK, this is a requirement of the law and it is highly unusual for someone not to wear a seat-belt. In other countries, it is still the law to wear one whilst driving, however, some people withing certain cultures resist wearing a seat-belt because they believe if they crash, it’s going to happen anyway, and so why bother wearing a seat-belt? From the World Disasters Report, we can see there are benefits to be gained from and clashes that people working in disaster management experience when coming into contact with certain cultures. One important thing I think to take away, is that we can use the benefits of cultural behaviours to aid our efforts, working with and alongside resident community cultures. It is also important to recognise that certain cultural behaviours will conflict with our efforts. The way around this is not to strive harder to persuade that we are “right”. There are many studies that show that people do not change their beviour based on information or knowledge. It is much more complex than that, rooted in our culture and belief structures, which determine what we value and how we make decisions. There is a often a clear clash of priorities between disaster risk reduction agents and those trying to maintain a livelihood and survive. The first step to be able to develop this relationship and reduce the clash is to first understand the other’s point of view and values, not with the aim to change their minds, but with the aim to work with them to obtain a better outcome (less risk from disasters, reduced vulnerability etc), which benefits all parties. Unfortunately, there is a lack of studies, methods, and advice on how to proceed when beliefs are responsible for increasing vulnerability. Perhaps the language and terminology we use needs to change: the narrative of making decisions based on a future potential hazards conflicts with daily efforts to survive. Would it be better to change the narrative to making decisions which will benefit livelihoods, reduce vulnerability, and reduce poverty, which also happen to coincide with disaster risk reduction? Let’s start talking about certain benefits that will matter to people at risk on a personal, daily basis, rather than a potential “less bad” situation when a disaster “might” strike in the future. Today, 13th October 2014, is the International Day for Disaster Reduction. The theme this year focuses on older people. This afternoon I attended an event hosted by the Overseas Development Institute with the theme: Resilience is for Life: Disaster risk reduction in an ageing world. The three speakers were Chris Roles (Director of Age International), Silvia Stefanoni (Director of Policy and Strategy and Deputy CEO of HelpAge International), and Tom Mitchell (Head of Climate and Environment Programme at the Overseas Development Institute). Chris Roles led the seminar highlighting the needs and contribution of all ages is needed to build resilience to natural hazards. We need to recognise that our world is ageing, both in developed and developing countries. These demographic changes will have implications on how we should prepare for and respond to disasters; an ageing population will require different help and priorities in the face of disasters. Silvia Stefanoni from HelpAge International spoke on the vulnerability of the elderly in relation to disasters. For example, the provision of food in the aftermath of a disaster should be nutritionally suitable for an elderly person. Health care priorities will be different. The elderly will have mobility issues, and are often isolated, without a means of evacuating, or support networks. Displacement patterns responding to disasters are different for the elderly population. HelpAge International found the elderly are often the last to leave a disaster zone, and the last to leave the refugee camps. Poverty as a result of no, or minimal, pension schemes increase their vulnerability. Another issue for older people is whether the state able to keep paying out pensions in the immediate aftermath of a disaster. Older people are more likely to suffer from psychological distress from their experiences in a disaster. But Stefanoni also highlighted it’s not all doom and gloom. We can use this time to focus on the opportunities the elderly provide us with before, during, and after a crisis. The elderly are, by nature, survivors with a high level of knowledge gained throughout the years. They can provide information on local weaknesses, and tensions within the community. They are often respected leaders able to mobilise local communities. They have a knowledge of the hazards that have affected the area within their lifespan. This is particularly useful for regions where historical records of hazards are sparse or nonexistent. HelpAge International have led successful schemes to empower and educate the elderly, utilising them as a resource in response and preparation for disasters. Tom Mitchell from the ODI then offered his congratulations to HelpAid International on their coverage of the issues for older people in their report: Disaster resilience in an ageing world: How to make policies and programmes inclusive of older people. He talked about the three revolutions that are occurring in the disaster field: (1) disaster data, (2) creation of risk, (3) disasters occurring in conflict and fragile affected states. He highlighted the data availability opportunity as the one with most promise for success and growth, particularly in relation to the age issue. We must first understand the problem before we tackle it. Disaggregated data is needed before a disaster occurs, and as part of the information gathering in the immediate aftermath of a disaster, to know where the vulnerable communities are and what their needs are. Essentially, disasters are anomalous occurrences, and therefore analysing loss data can be misleading. Running disaster scenarios to identify the vulnerable areas to disasters and the potential impact could be more useful for preparation rather than waiting for disasters to occur. Source: United Nations Population Division, World Population Prospects: The 2004 Revision (New York: United Nations, 2005). History has shown disasters result in a disproportionate loss of older people. Their needs are often overlooked in disaster preparedness and humanitarian response. By 2050, the proportion of older people will have doubled to 22%. While the ageing population represents improvements in healthcare and development progress, an ageing population means an increase in vulnerability to risks and disasters. In combination with the projected increase in frequency and severity of natural disasters, this overlooked and vulnerable population’s needs must be addressed looking forward. 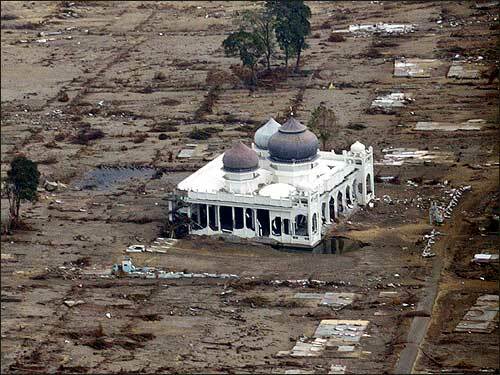 The 11th March 2011 tsunami in Japan caused widespread devastation and human casualties. The losses as a result of the event will be felt through the generations. But there are always lessons we can learn from such a tragic occurrence. In a coastal community in the Iwate Prefecture, the majority of school-age children survived. The survival rate seems miraculous in the face of so much devastation. The survival of the children is attributed to a concept taught to them through an education scheme. The term is tendenko. In Japan family bonds are very strong, which can become a problem during a disaster situation. 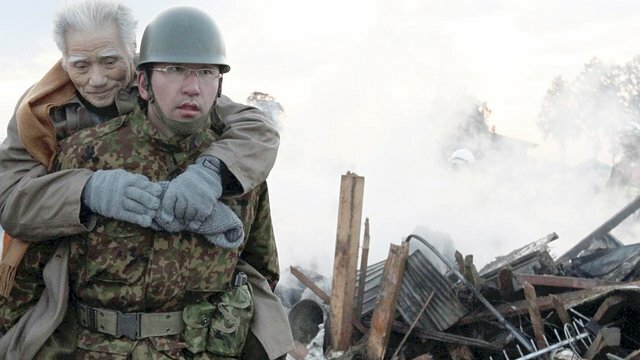 During the 1896 Sanriku earthquake, family members tried to help each other but ended up failing to escape from the tsunami that destroyed the entire region. In the Taro District (then Tarocho) of Miyako, Iwate Prefecture, only 36 of the town’s 1,859 residents survived the Meiji era (1868-1912) catastrophe. Family bonds were causing people to delay evacuation after an earthquake because they were gathering to check family members were ok before evacuating. In a earthquake-tsunami situation, this is incredibly dangerous as every minute to get to higher ground to escape a tsunami counts. Since 2005, the Kamaishi city government has invited disaster management education experts to offer advice to combat this phenomenon. An education program for schoolchildren led by Professor Toshitaka Katada from Gunma University Graduate School has been run since 2005 in Kamaishi, Iwate Prefecture. Kamaishi schools conduct disaster drills to go uphill, teach tsunami velocity calculation methods in math class and discuss tsunami experiences during ethics lessons. The schools also encourage students to look for higher ground where they can evacuate on foot, and include evacuation routes in a disaster management map. Among the lessons’ important points was tendenko; a word coined from the city’s long history of repeatedly being hit by tsunami. The term means to “go uphill independently at the time of tsunami caring only for your own safety, not thinking of anyone else, even your family”. The term tendenko was one that had fallen from modern use. The idea is one of self-sufficiency and familial trust. Each member of the family must trust that the other members are evacuating to safety ahead of a tsunami. This stops people from trying to check on each other in geographically distant locations, and increases their chance and ability to escape the tsunami wave. The idea also fosters a sense of camaraderie and mutual aid for those evacuating in the same location. The casualty toll for Kamaishi was more than 1,200 in total. Of the 2,900 primary and secondary school children in Kamaishi, only five children who were off sick from school or who had left early were confirmed dead as a result of the March 2011 tsunami. This is a phenomenal survival rate. Of the children’s parents, only 40 were killed, which suggests the message and lesson of tendenko had been passed from child to parent. School children were seen to be holding the hands of the younger students as they ran uphill to evacuate in advance of the tsunami. At one of the middle schools, the announcement system malfunctioned right after the earthquake and become unable to broadcast evacuation calls. However, students quickly left the building and gym as they had practiced and escaped uphill. Without the concept of tendenko, the schoolchildren would have been more at risk, stopping to gather outside school to be led by teachers, or returning home to wait for parent’s instructions. The loss could have been much greater in Kamaishi. The case of Kamaishi during the March 2011 tsunami is one that teaches us the important role education can play in disaster risk reduction. 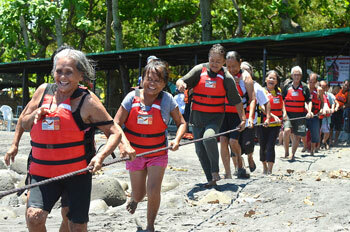 Empowerment of people who are likely to be affected by disasters is key to survival. If they expect to be told what to do and where to go by official lines of communication during an event, it can lead to unnecessary casualties. In the immediate aftermath of a disaster, communication lines are very likely to be broken or unavailable. People who are key to helping or directing evacuation will also have been exposed to the disaster and may be unable to respond or fulfil their official role. In this case, it is vital that people know to take action, and know what that action is; this cuts down on the time spent making decisions in a stressful situation. The more self-reliant they are, the more likely they will be able to respond appropriately to the challenges they may face. This does not mean we need to act selfishly – helping others nearby to get to safety is a common occurrence in disasters (more on this in another blog post). Kamaishi and tendenko can be taken as a positive example of the benefits of education and empowerment in disasters.